B.C. Premier Christy Clark and Opposition Leader Adrian Dix are to be commended for supporting a province-wide ban on the sale and use of lawn and garden pesticides. Not only will this legislation be hugely popular, it will also have a very positive effect on the health of B.C.’s people, environment, and economy. How can we be sure? Because we’ve seen what happens when pesticide regulations are passed in other provinces. The first result, not surprisingly, is a very low pesticide usage rate. Quebec’s pesticide ban started to take effect in April, 2003. 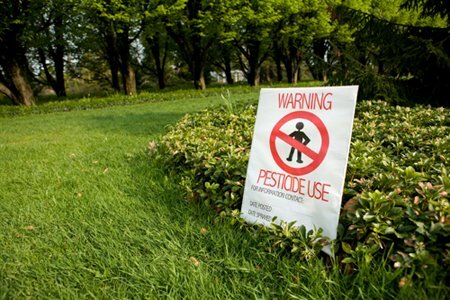 By 2007, chemical pesticides were being used by just 4% of households with a lawn or garden. By contrast, in B.C. – which lacks a province-wide ban — the figure was 25%. When pesticides are taken off store shelves, people are no longer exposed to lawn chemicals which can cause very serious medical problems. Doctors writing in the scientific journal Paediatrics and Child Health found that the common weed-killer 2, 4-D “can be persuasively linked to cancers, neurological impairment and reproductive problems.” The Ontario College of Family Physicians tells us pesticides are associated with brain cancer, prostate cancer, kidney cancer, and pancreatic cancer. The College makes a point of saying some children exposed to pesticides have an increased risk of leukemia, especially if they come into contact with “insecticides and herbicides used on lawns, fruit trees and gardens…”.When Ontario’s pesticide ban came into effect in April, 2009, the province removed more than 250 of these toxic products from the market. The benefits to human health are obvious. The Ontario ban is also improving water quality. The provincial Ministry of Environment studied pesticide concentrations in ten urban streams before and after their ban came into effect (2008 vs. 2009) and compared the findings. The study’s author states: “Concentrations of 2,4-D, dicamba, MCPP, total phenoxy herbicides and total insecticides were significantly lower in 2009…” In fact, in some streams pesticide concentrations were up to 97% lower. That’s an extraordinary result and suggests a province-wide pesticide ban in B.C. would have similar benefits for local waterways. The Ontario ban has also been well-received by lawn care businesses. The firm Environmental Factor – which makes a non-toxic corn-gluten-based weed inhibitor — had a 400 per cent increase in sales and manufacturing in the ban’s first six months. Product demand was so great the company had to move to larger premises. Other Ontario firms said they viewed the new legislation as an opportunity for business growth and new hiring. (Organic lawn care, which includes hand-weeding, is more labour-intensive.) And business expansion also occurred when pesticides were banned by municipalities. For example, in the five years following passage of a pesticide bylaw in Halifax, the number of landscaping and lawn care businesses in that city grew by 53%, according to Statistics Canada. The number of companies in the sector also grew in Toronto following enactment of a pesticide bylaw in the Ontario capital. Finally, this legislation is a winner with the public. Polling done in Ontario in 2007 by the national research firm Oracle found 71% of residents supported a provincial prohibition on lawn and garden pesticides. Polling done the following year found support for pesticide restrictions at 72%. But what about B.C.? Polling done in the province by Innovative Research Group and released in February, 2011 found support for a phase-out of “cosmetic” or non-essential pesticides was over 70%. The research also found 72% of British Columbians believe these pesticides pose a threat to the environment and nearly 70% believe they threaten children. Perhaps most significantly, the study found support for the phase-out does not differ between rural and urban areas. The message for government couldn’t be clearer: No matter where they live in the province, the vast majority of British Columbians want an end to toxic lawn products. 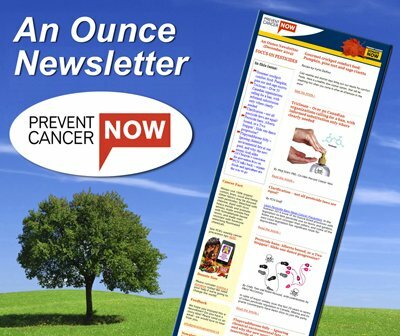 Good for human health, beneficial to the environment, a boost to business: these are some of the reasons our most respected health organizations – including the Canadian Cancer Society, the Learning Disabilities Association, the Lung Association, and the Canadian Breast Cancer Foundation – support a province-wide prohibition on non-essential pesticides. We would suggest B.C. model its ban on Ontario’s excellent Cosmetic Pesticides Ban Act and go one step further: in addition to lawns and gardens, extend the restrictions to golf-courses. The latter are increasingly maintained without poisons, a trend that legislation would only strengthen. We would urge British Columbians to call or e-mail the Premier today with one simple message: This summer give us the protection from pesticides already enjoyed by the people of Ontario. Gideon Forman is Executive Director of the Canadian Association of Physicians for the Environment.